The need for evolution of the Olympic Programme is recognized, balanced with the need to retain an inclusive, accessible and universal sport. Every four years the events and equipment for the future Olympic Games is reviewed, normally scheduled to give a 7-8 year lead time to make decisions on events, with at least a lead time of 5 years to decide any new equipment. There have been some changes to the review process for the 2024 Olympic Games, compared to what was initially anticipated. The information below is intended to give a general overivew of the background to this revised review process, the review process itself and the next decisions to be made. Scroll down to read through the timeline of the World Saiing decision making process to decide the final ten events for the 2024 Olympic Games. BACKGROUND - in 2017, the World Sailing Board led a change to the review and decision making process on the events and equipment for the 2024 Olympic Games, to defer the first stage of the events and equipment decisions from the World Sailing Conference in November 2017 to the World Sailing Mid-Year Meeting in May 2018. 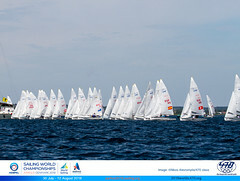 The reasoning was in order to have a strategic discussion at the World Sailing Conference, ahead of any decisions being taken. The main outcome of the discussions in November 2017 was to ensure there were a minimum of 2 and maximum of 4 mixed events at the Olympic Games, in order to ensure the stated IOC requirement for gender equity at an event and athlete level could be met. 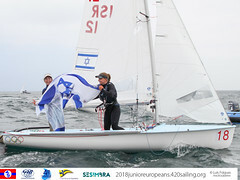 In a further change to the anticipated review and decision making process scheduled to be held at the Mid-Year Meeting in May 2018, on 13 December 2017 the World Sailing Board announced that the first stage of the review of events and equipment for the 2024 Olympic Games would be held be brought forward and be held by email vote, rather than at the face to face meeting in May 2018. In a change to the customary submission process to propose events and equipment, the WS Board appointed an Events and Equipment Working Party to prepare a recommendation on the events and equipment to be retained and put for review. On 12 January 2018, the World Sailing Board announced the Events and Equipment which would be reviewed based on the World Sailing Antitrust Policy. World Sailing also published a 'Events & Equipment Selection Procedure FAQs' to answer questions about the process and invite questions. The extent and content of questions is an indication of the concern and interest on the decision process, and there still remain questions unanswered. Discipline Representation - and four discipline specific representatives, being one of each of Offshore Sailing, Para World Sailing, World Sailing Classes and the Women’s Forum. 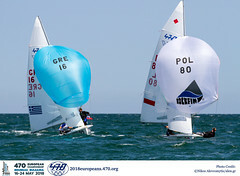 UPDATE MAY 2018 – With five events now up for review - Men’s Windsurfer, Women’s Windsurfer, Men’s One Person Dinghy Heavyweight, Men’s Two Person Dinghy, Women’s Two Person Dinghy - ahead of the 2018 World Sailing Mid-Year Meeting and in line with the regulations submissions were made to World Sailing proposing what the remaining five events on the Olympic Programme should be and whether the equipment should be retained, evolved or new equipment trialled and selected. 59 submissions were received, and considered by World Sailing in addition to the deferred submissions from November 2017. Read the 470 Class Report from the 2018 Mid-Year Meeting.